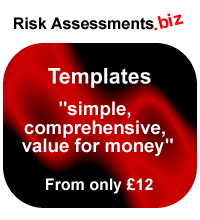 If you are competent to do your own risk assessments and to write you own health and safety policy but require a template to help you get started then our sister company may be able to help. However, if you are not competent to use templates then do not do so. 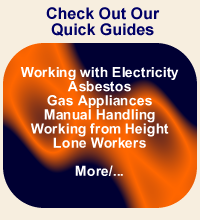 It is important that you have properly considered your own individual needs and requirements and conducted risk assessments that are appropriate to your own circumstances. Templates cannot possibly cover all situations and only a personal visit from an experienced and competent health and safety advisor can ensure that all your obligations are being covered.